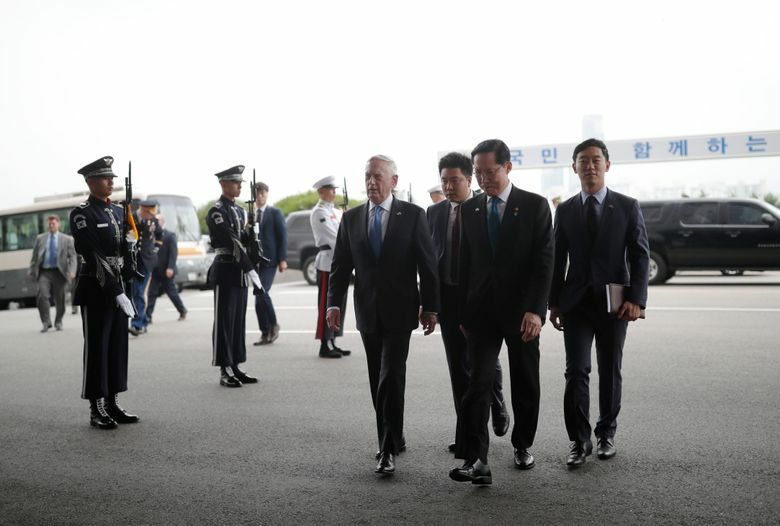 SEOUL, South Korea (AP) — Carrying a clear message of reassurance to South Korea, U.S. Defense Secretary Jim Mattis stated flatly Thursday that the U.S. will maintain its current number of troops on the Korean Peninsula, even as nuclear negotiations continue with North Korea. 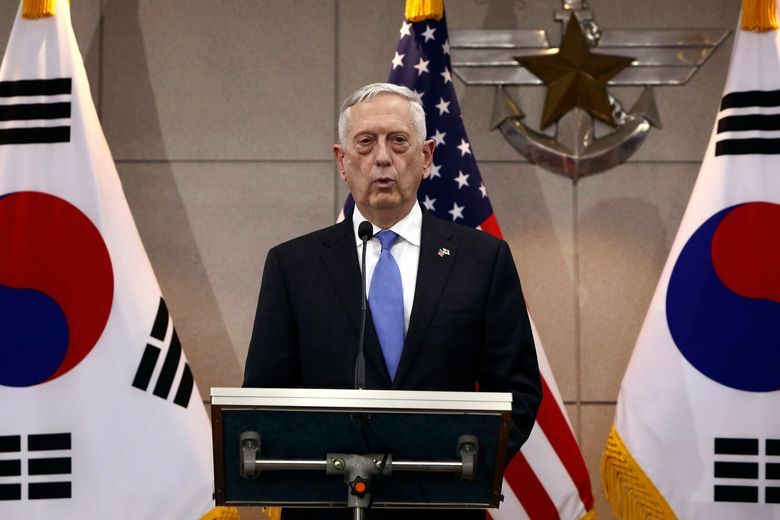 His message appeared aimed at putting to rest any rumblings that the U.S. would pull its forces off the peninsula — a possibility that gained momentum when President Donald Trump said after his June 12 summit with North Korean leader Kim Jong Un that he’d like to remove all 28,500 U.S. troops from South Korea. “I want to bring our soldiers back home,” Trump said at that time, although he added that it’s “not part of the equation right now.” During that press conference he also abruptly announced that the U.S. was suspending major military exercises with the South, which was widely seen as a concession to the North. 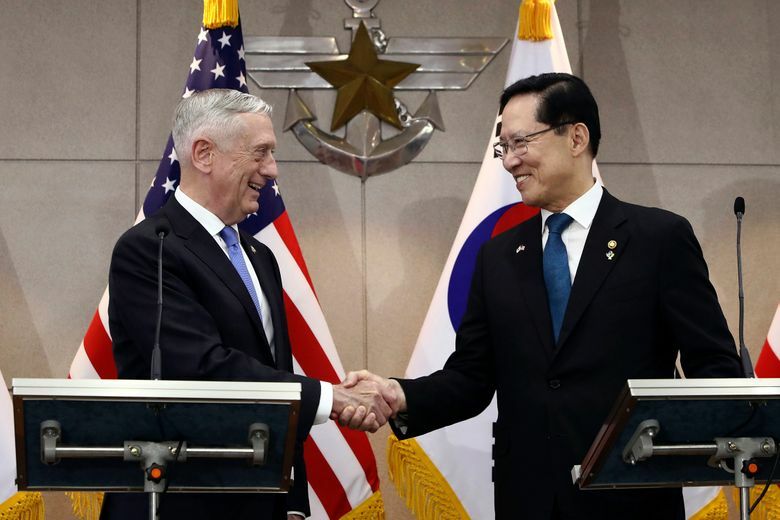 North Korea has long regarded the American troop presence in South Korea as a threat. It’s a legacy of the 1950-53 Korean War that ended without a peace treaty. 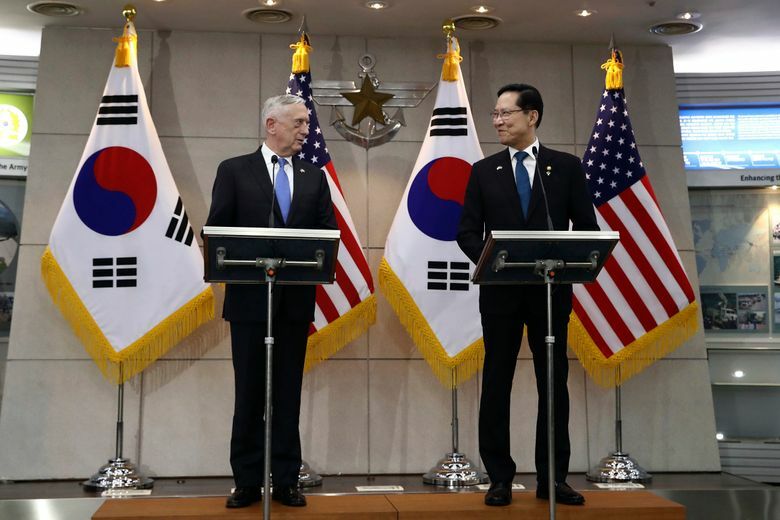 The U.S. forces undertake regular, large-scale drills with their South Korean partners to sharpen their skills and ability to operate together. The North claims the drills are invasion preparations. 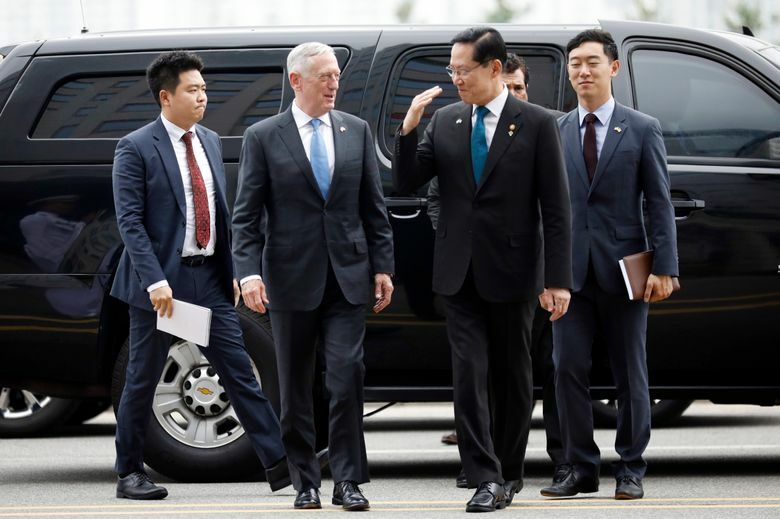 Song said the North Korean leader’s recent separate meetings with Trump and with South Korean President Moon Jae-in have laid the foundation for a permanent peace on the Korean Peninsula. “If North Korea maintains its commitment to denuclearization and proves its willingness with actions, we will continue to devise measures to build mutual trust and establish peace,” he said. 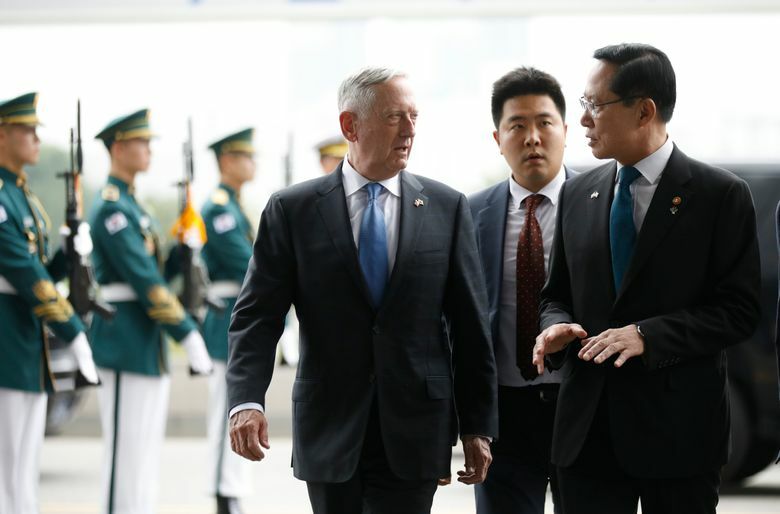 North Korea has yet to take concrete actions to fulfill that pledge, and there’s still some uncertainty surrounding plans for the North to return the remains of Korean War dead to the U.S. in the near future. 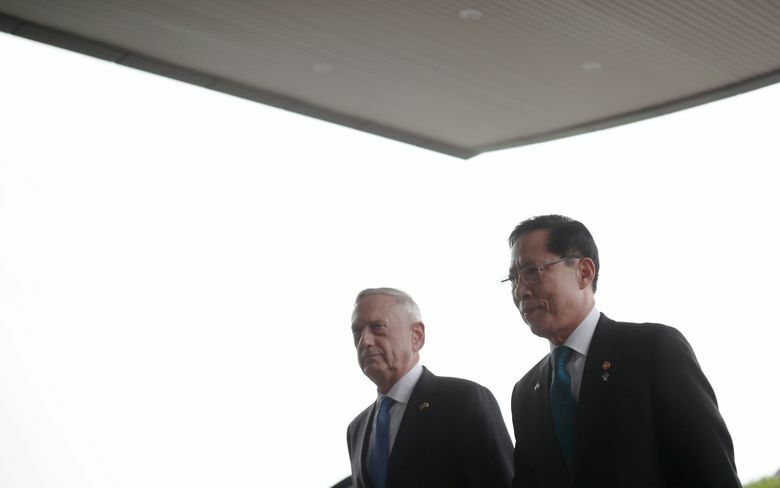 Neither Mattis nor Song mentioned that issue in their statements. 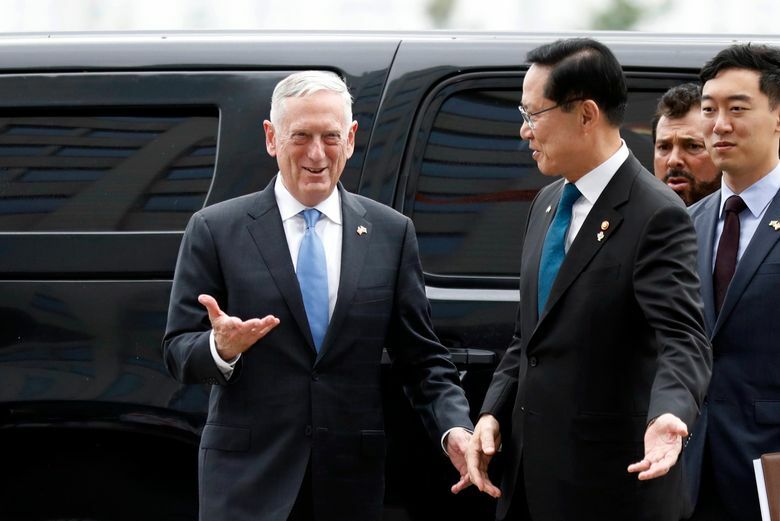 The U.S. military has said it has moved 100 wooden coffins to the inter-Korean border to prepare for the return of the remains. And, 158 metal transfer cases were sent to a U.S. air base near Seoul and would be used to send the remains home. It remains unclear when and how the transfer would occur.